Even though it’s not as cool or as fun as a real voice assistant like Cortana or Siri, Google’s voice search has been used quite frequently by users to ask sometimes random, sometime relevant questions to the search assistant, at least by those users whose accents Google search is able to understand. When it does comprehend the question, the results offered are fast and accurate, making it popular especially among the clientele who don’t access Siri and Cortana. While that’s all good, the strange part is that Google Voice search has been storing the recordings of questions asked to it by every user ever since it was put into use. Why would Google Voice search store those recordings? Many have speculated about the true reasons for the stored recordings, but they are all just speculations, since Google has not stepped forward and answered the query. A safe reasoning would be that Google wants to analyze and make the Voice search understand various accents and the difference between all of them so that Voice search can do a better job answering questions. 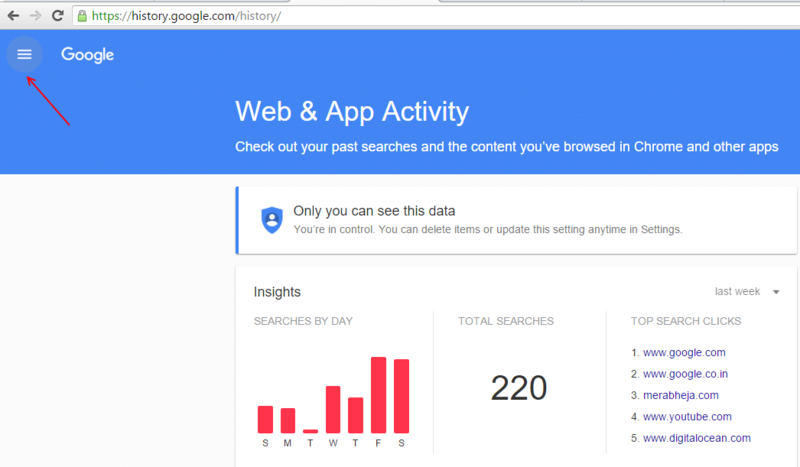 You will need to log in to your Google account with your login credentials. At the top left corner of the page that opens, click on the three-horizontal-line icon next to Google Web and App. Select Voice and Audio Activity. In the page that opens, you will see a list of all your voice search recordings in the past. Click on the Play button next to a question to listen to yourself. To delete the question, select it from the checkbox given. Click on the Delete button at the top of the screen. Repeat this process if you want to delete specific questions. If you want to delete the entire Voice search recording history, click on the three dot menu located on the upper right corner of the screen. Select Delete Options from the box of options that appears. A box called “Delete Voice and Audio Activity for:” will appear, with the options “Today”, “Yesterday”, and “Advanced”. Go ahead and check Advanced. A menu called Select date will be displayed. Choose All time from the drop down, and click on Delete. 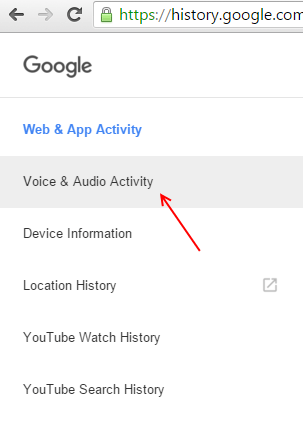 If you don’t want Google Voice Search to record your voice again, there are two options. You can choose not to use Google Voice Search again, but that might be an undesirable solution if you’re fond of using the service. Under the heading Activity Controls, you will find an option called “Your voice searches and commands” with a slider next to it. If the slider is blue, it means Google Voice has been storing your voice searches. Simply switch the slider to the other side, thus pausing data collection by Voice search. This way your voice searches won’t be recorded.